Common Name or English Name: Psyllium Husk, Plantago, and Isabgol. Commercial Use: Seeds and husk of plantago ovata husk are marketed for commercial purpose. Isabgol is prepared by crushing the dried seeds of Plantago Ovata Husk. In some cereals also, Psyllium Husk is an important and specially added part in some cornflakes and cereals. Environment: Earlier the plant was grown exclusively in the continent of Africa, area around Mediterranean sea and in some parts of India but now it is being grown basically everywhere in the world. Utilization: Isabgol is very useful in stabilizing cholesterol level. Isabgol is a very good cooling agent and is taken in case of high inflammation and acidity in stomach. It is also useful in treating various gastronomical disorders. Psyllium Husk also relieves a person from recurring case of constipation. It is considered as a very useful herbal medicine having high fiber content and the best part is that it can be easily taken along with water. Normally, Isabgol is taken with a good quantity of lukewarm water and must be taken as a first thing in the morning and last thing before night bed time. For people suffering from obesity, isabgol needs to be taken half an hour before any kind of meal. More modernized form of Isabgol is that it can be taken in the form of capsules. Earlier, Psyllium Husk was almost tasteless, not liked by many people but now it is available in the market in different pleasing flavors such as orange, strawberry, etc. It is often utilized in treating diarrhea. Isabgol is also taken by excessive fat people. It further prevents development of colon cancer and breast cancer. When dosage of isabgol is to be given to children’s, it must be done so under the proper prescription of doctor. Generally, whether used for medical purpose or for giving aromatic touch to your food, the whole plant of pudina is used. From the pudina leaves, mint oil is extracted which is normally used commercially. Commercial name or English Name: Field Mint and Pudina. Pudina can be defined as a plant with fragrant leaves. Comes in the category of mint and is used in kitchens throughout India. It is dark green in color and is used as a flavoring agent as it tastes like peppermint in cuisines world over. Marketable use: Leaves and Mint oil extracted from pudina leaves. Mint oil is extracted from the leaves and is used for various commercial purposes. It is used in chewing gum, tooth paste, cakes, pastries and sweets, fish, soup, vinegar(sour liquid prepared from wine) and also for preparing medicines. It is highly used in while preparing curry in India. Pudina chutney is one of the most highly popular forms of pudina. Pudina chutney is taken after finishing the food because it helps in quick digestion of food. Commercially, in India pudina comes in the form of pudin hara which is thick green colored syrup taken for gastric ailments. Pudina tablets (round shaped) are also available in the market and are normally given to a person suffering from vomiting, abdominal pain, cough problem and high fever. Climate: Pudina plant is small in size but it might vary from place to place. Pudina is available throughout India and the seeds of pudina plant are sown in between November or December and the plant is harvested in the month of March. Interesting Fact: Pudina plant is that it is entirely antiseptic and after processing gives in methanol which is effective in curing headaches and many other ailments and is also used in preparing several medical ointments. Common Name or English Name: Poppy seeds, Aphim, Opium poppy, etc. Papaver Somniferum is made from a plant which is known by the name of opium poppy. For obtaining papaver somniferum, the shells of its young and green seeds are dried and its extract is acquired. Opium poppy was brought into use by many early civilizations because of its basic quality of mitigating the soreness or any type of ache, putting people into slumber & help in making an individual psychologically fit. Afghanistan is hot-bed for growing opium and has also become major source of income for many. Commercial Use: For commercial purposes and that too legally, dosage of opium has always been used in very small amount. But, the trade in opium is generally done illegally and is smuggled across the world to be smoked as intoxicant. For that, huge cultivation of its seeds and flowers is done. In different countries, Papaver Somniferum is known by different names but the basic difference lies in quality and look. Oil extracted from poppy seeds is used in cooking oil. The flower of the opium plant is used for intoxication purposes whereas its seeds are used for medical purposes. Utilization: But remember, opium seeds are excellent source of energy; are often used as stimulant and are commonly used in foods and salad decoration. It is often used as a painkiller, antiseptic and hypnotic medicine. But it has many therapeutic properties also, for instance, it is used in the treatment of asthma, wounds, cough problem, high fever, headache, cancer, eye infection, depression, swelling, sleeplessness, malaria, blood pressure, vomiting and toothache. Though it cures many diseases, excessive dosage of opium can have harmful effects on brain. Environment: Opium plant normally grows to a height of around 1 meter and bears white double lobbed flowers. Its seeds are normally sown in between September and April. It develops to its fullest in autumn or spring season. Papaver Somniferum can be grown in a spacious garden having a good drainage facility. Commercial use: Roots, Seeds and leaves are commercially used in the market. It is also used as food crops in major African countries surpassing their therapeutic values. Utilization: Its seeds are having severe tastes that are laxative in nature and are also used as an energizing drink. Mucuna Pruriens is the popular medicines in India and is one of the significant constituent of many medicines. Seeds of this plant contain an anti-Parkinson’s element and are in great demand on the international as well as domestic front. Seeds are crushed into powder for this purpose. Roots of this plant are used in the cure of constipation, elephantiasis, ulcers, and typhoid, etc. Leaves of kapikachu are used for treating swelling and general weakness. It can also boost the making of human growth hormones and also strengthens muscles and it also increases tissue flexibility and develops better coordination. Mucuna Pruriens forms an important in the study of neurology and is also used in the treatment of sexual diseases. It is also helpful in maintaining healthy cholesterol and blood sugar levels. Environment: Mucuna Pruriens is an accepted kharif crop in India; the seeds of which are sown in the month of July. Flowers on this crop starts coming in the plant normally after 45 days of sowing of seeds. Flowers have white or purple colors. It is a long climbing crop that can grow up to 15 meter. This plant is also having long loose orange hairs that causes rigorous burning sensation when comes in contact with skin. It is found in humid areas of Africa, India and the Caribbean islands. When there is a temperature below 10 degree C, it needs to be grown in an indoor area. 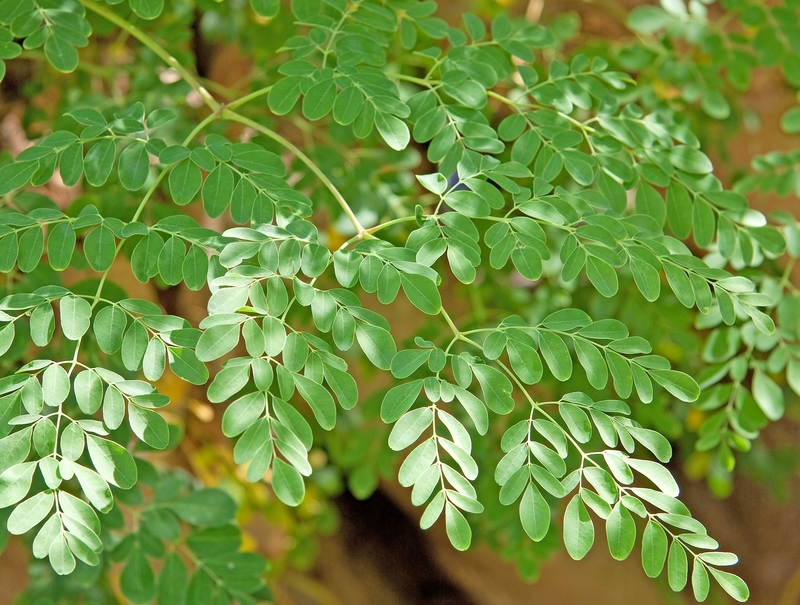 Common Name or English Name: Moringa, Drumstick Tree and Sahijan. Drumstick Tree roots are spicy, digestive and a kind of vinegary drink. Commercial Use: Roots, Seeds and Leaves of Moringa Oleifera are used for marketable purposes. Environment: Moringa Oleifera is basically found everywhere in India. It is found in areas having warm and dry and moist. The maximum height to which it can grow is about 10 m.
The tree of Moringa bears both fruits and flowers. It can be seen mostly in areas having drought like conditions. In India, fruits starts coming between March and April. After the fruits are taken away from the tree, the seeds of the fruit are dried, crushed and oil is collected from those seeds. There are 14 species of Moringa Oleifera. Utilization: Drumstick Tree is also grown because of delicious drumstick that are eaten away with mixture of different spicy powders. But it is also very useful in treating certain kinds of ailments such as paralysis, swelling, fever, cough and cold, tumor; headaches and improves digestion. Leaves of this tree have high nutritional value and are used in many medical systems across the world. Oil extracted from its leaves is very pleasant in taste as well as has a good aroma. Its leaves are a good fodder for animals also. It also strengthens gums and teeth and prevents infection in mouth. Drumstick tree is also planted in some places for their ornamental value. Oil of the seeds is applied on the skin to get rid of various skin aliments. – Moringa Oleifera leaves can prevent at least three hundred known diseases in the world. – In many parts of the world, its used leaves are used for cleaning utensils and walls. – Wood pulp of Moringa Oleifera tree is used for making newsprint also. – Seeds of this tree are eaten like peanuts in Malaysia. Moringa oleifera leaves are packed full of essential nutrients, including vitamins, minerals, antioxidants, powerful enzymes, and every essential amino acid required for protein synthesis. Nutrients contained in moringa leaves are highly bioavailable and suited for digestion and absorption into the body. Moringa oleifera is a superfood that delivers powerful nutritional value to supplements, powdered green mixes, and other foodstuffs. Currently you can find the supply of moringa leaf and powder in both capsule and loose bagged form. Most of the moringa leaf powder is bagged by the pound and the capsules are encapsulated in 100% vegetarian caps. You can now get the moringa leaf, powder, and capsules anywhere in the world. Moringa seeds thrive in warm, arid climates. To germinate moringa seeds, soaked seeds in water for 24 hours. The seeds will soak up the required water that is necessary for proper germination. Remove the seeds from the water and wrap them in a wet paper towel or cloth. Place this in a warm dark area and check it every two days. The moringa seeds will sprout in a week to 10 days. Once the seeds have sprouted, plant them in soil and care for them as you would any other young seedling. Moringa seeds have high germination rates and most of the farmers are selecting them from the highest producing trees on their farm. The seeds are known for having high germination rates and producing strong healthy seedlings in just a few short months. Some moringa seed supply varies with the seasons. Therefore, if you are looking for this herb, it is best to contact the reliable supplier to plan for delivery of your moringa seed orders. Moringa oil is a delicate and valuable oil pressed from the fresh seeds of the moringa oleifera tree. Moringa oil is among the most sought out oils on the planet because of its strong resistance to going rancid. Moringa oil can stay fresh for several years. For this reason, a ring the oil is sought out for the manufacture and production of designer fragrances, body oils and other skin scented products. Because moringa oil is sourced from the seeds of the most nutrient dense plant on the planet, moringa oil contains high levels of powerful antioxidants, vitamins, and minerals which bring lasting improvement to human skin. A ring the oil nourishes and rejuvenates skin tissue, penetrating deep and delivering nutrients which have marked anti-aging effects. Marengo oil is sought out as an ingredient in some of the world’s most effective age defying creams, revitalizing shampoos, and many other health and beauty products. Because moringa oil is among the most in demand oils in the world, and the quality of the organic moringa oil is second to none, which make it continually in limited supply. Moringa is one of nature’s most potent superfoods, making it the ideal whole food supplement for the busy family. With 47 anti-oxidants, 36 anti-inflammatories, 25 vitamins and minerals and all of the essential amino acids, Moringa has something for everyone in the family. Moringa is an all-natural nutritional powerhouse and provides a balanced approach to the nutritional needs of today’s family without any side effect. Moringa Oleifera has been revered in many ancient cultures as The Giving Tree and in others as The Mothering Tree. With a nutritional density unparalleled in the plant world, Moringa can ensure that individual nutritional needs are met. Common Name or English Name: Mulethi, Sweet Liquorice and Sweetwood. Marketable use: For commercial purposes, roots of Glycyrrhiza Glabra are used. Its juice which is black in color is imported from several other countries such as Italy, Spain, Russia and Britain. Environment: It’s a perennial growing to a height of 1 m to 3 ¼ ft. Pea flowers of Glycyrrhiza Glabra plant are whitish-violet. There are around 14 species of Sweetwood plant in the world. In India, it is normally grown in North and South India. It best grows in rich alluvial soil in which there is large amount of moisture. Seeds for this plant should be best sown in October, February and March. This particular plant flourishes in the ending months of summer season. 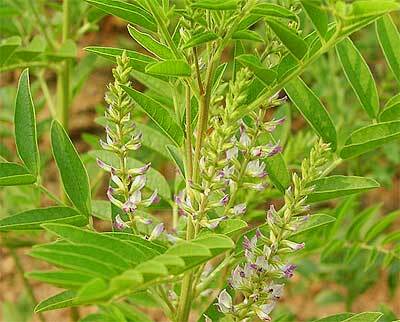 Utilization: Roots of Glycyrrhiza Glabra are a source of liquorice used medicinally and as a confectionery ingredient. It’s a very useful medicine for curing cough and catarrhal (swelling of mucous membrane, especially of the nose, with a watery discharge) infections and also in severe bronchitis and in some cases of mild fever. Mulethi is also used as a flavoring agent in tobacco, beverages (drinks) and jams. Juice of this plant is not used in combination when preparing medicines. Mulethi or Glycyrrhiza Glabra is a very important component in almost all cough- related medicines. It is also used in treating many menstrual disorders and many skin related diseases. Glycyrrhiza Glabra fixes surrounding nitrogen, thereby reducing pollution. Cold weather prevents its roots from the formation of juices making it more woody and tough. Sugar extract in its roots can even be taken by patients of diabetes. In ancient times, it was also used for horse related ailments. Glycyrrhiza Glabra is used as a spice in many western countries than as a medicine. Common Name or English Name: Walnut and Akhrot. Commercial use: For all marketable purposes, leaves bark and fruits are the parts of walnut tree that are brought into use. Its oil is very useful besides that walnut tea is also very popular. Edible oil of walnuts must not be stored for too long because it can rotten very quickly. Environment: Walnut tree is basically cultivated in areas having cold climate, especially, the Himalayan region. Flowers can be destroyed if the temperature goes beyond -2 degree. Tree of Juglans Regia grows up to a height of 20m. Its leaves are 20-90 cm long. There are 21 species all around the world of walnut tree. 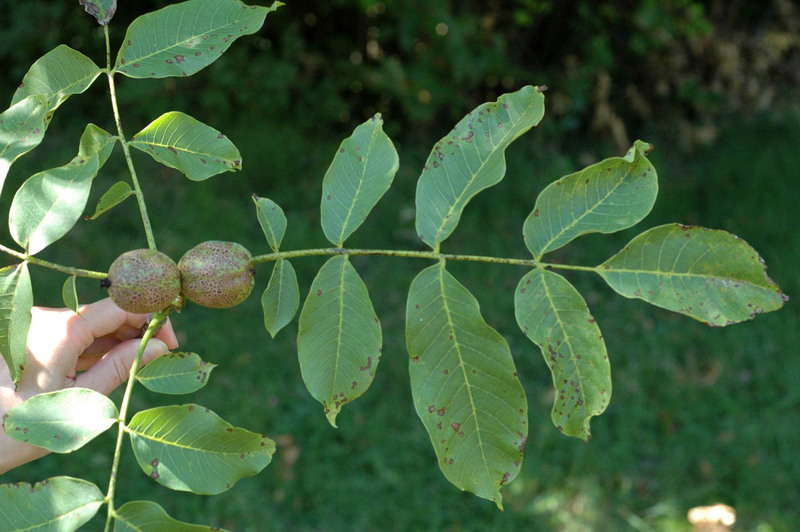 Utilization: Leaves of Juglans Regia have a very cutting edge but they also are used as stimulant in many cases but they are very useful in the treatment of skin disease such as eczema and vernal disease. Its fruits have a very sweet taste. Its nuts are edible (cooked) in nature and are eaten as a dry fruit all over the world. Walnuts and its oil are extremely useful in lowering cholesterol level. Walnuts trees are often planted in gardens because of their striking exterior. Walnuts can reduce the injurious effect of fat deposits on blood vessels. Its seeds are used on cakes; ice-creams are also eaten in its raw form. It also acts as a blood purifier and is useful in treating many respiratory ailments and back ache. Walnut also has many anti-cancer properties. It is extremely helpful in treating an anemic patient. – The outer shell of walnut is also used as wood polish. – Its wood is also used make wooden showcases and window border. – In many agricultural practices, leaves of walnut tree are used as pests repellent. Take one hour before going to sleep and avoid drinking water afterwards. This tonic will increase the Dhatus, strengthens the lungs and increases blood circulation together with cleaning the bowels and alleviating the Vittas and Pittas. Jwano and in many ayurvedic medicines, various components of this particular plant are also added and is known by its Sanskrit name (Indian Language) of Parasika yavani. Commercial use: Seeds, flowers and leaves are that part of Hyocyamus Niger plant that is brought into use for various marketable purposes. Utilization: Henbane plant is very useful in treating different ailments and is widely used in many medicines because of high nutritious value. It is also used as a food in feeding birds. Many gastric disorders, skin swelling, diarrhea, asthma and cough can be cured by henbane plant. Its seeds are used as tranquilizer in treating certain nervous contagion. If taken in heavy dosages, all parts of the plant can be very toxic. It is also used as a painkiller in treating urinary ailments. Recently, it has been used in the treatment of Parkinson’s disease. Oil extracted from its seeds is useful in relieving a person of a dental pain. Environment: It is a kind of weed, so hyocyamus Niger plant grows up to a height of 5m. This kind of a plant grows twice in year. The soil suitable for the sowing of its seeds normally has clay type properties in it and has water absorbing capacity in it. It is a very stinking kind of a flowery shrub that has a very hairy leaves with yellowish green in color. Seeds of this weed plant are mostly black in color. Hyocyamus Niger cannot grow in shadow; it needs adequate sunlight for its proper growth and the best part is that the plant can sustain exposure from sea. Plant of hyocyamus Niger starts bearing flowers in the month of June to August. Common Name or English Name: Henna, Mehndi, Mendee, Al-Henna and Smooth Lawsonia. Commercial Use: The parts of Lawsonia Inermis plant that are used for marketable purpose are: Flowers, fruit of the plant and its leaves which are dried and crushed into powder. The flowers of the plant are also used in perfumes. Utilization: Lawsonia Inermis or Henna is considered as a very useful herbal plant having multi-purpose usage. Leaves of this plant are not only used separately but are also forms an important part of many skin ointments because it is very good remedy in treating pale yellow patches on the skin, not only that it also used in curing typhoid(condition of high fever). Henna is used as a cooling agent and is used even in deodorant. Henna oil or a thick henna paste is applied on to the hair to prevent greyness. Henna is used in many ayurvedic medicines too. Henna Oil is extracted from within the flower of henna plant which is then used for treating muscle pain, headache and wounds. The outer portion the plant i.e, the bark, is used to cure jaundice, eczema( skin disease), burns, ulcers, itching and swelling. It is very commonly used as a conditioner. But the most common form of henna usage can be found in drawing of designs on hands, feets, etc. Apllication of henna has now become a specilaized tattoo art. Mehndi is extremely popular in many South Asia countries during wedding and festive season. But in some cases, application of henna or black henna causes allergic reaction on sensitive skin. Environment: Henna is a kind of shrub that can grow up to a height of 7 m and its bark (outer layer of the plant) is greyish brown in color. It is mostly grown in regions having semi-dry climate. Habitat: Mainly Grows in Sub steamy Himalayas. Uses: it is basically used in Nausea, Bronchial Asthma, Halitosis and Vomiting. And it is also useful in reduced appetite, hiccups, local inflammation etc. Similar species: The most common and familiar spices of Hedychium categories is Hedychium flavescens. Description: This species of Hedychium basically from the Himalayas and it grows up to 6 ft (1.8 m) tall with long; leaves are bright green clasping the tall branch. This is the mainly widely refined species; it always prefers a warm, hot and frost-free climate even though it will grow outside of the temperate areas that have light simply, occasional frosts. The colors of plant flowers are fragrant red and creamy yellow, held in opaque or thick spikes, emerge towards the end of summer seasons. This species is measured a weed in some places like in the north side of New Zealand. Organism type: it is basically herb type of organism. This showy decorative or attractive ginger grows over a meter tall in damp climates and grows as well from sea level to an elevation of 1,700 meters. It relocates inhabitant plants, forms enormous, dense colonies and chokes the under story plants. Suitable Climate: Hedychium or Kahili ginger mainly grows in open glow or bright environments requires a warm and hot moist climate; on the other hand it will easily or readily grow in full shade under a forest awning. Culture: Hedychiums always requires the humus-rich, wet or moist but well drained soil in a part-shaded location. Occurs in: The Hedychiums is mainly found in different and selective places such as agricultural areas, coastland, disturbed or troubled areas, natural forests, planted forests, range or grasslands, riparian zones, scrub or shrub lands, urban areas, swampland.